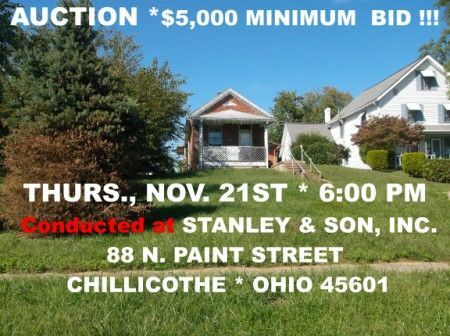 Real Estate Terms: $2,000 down at time of sale in cash or check w/photo ID, auction conducted at 88 N. Paint St., Chillicothe, OH (Stanley & Son, Inc. Office); offered free & clear prior to closing on or before Dec. 30, 2013; taxes prorated to day of closing; no buyer contingencies exist; sold in as-is condition; caveat emptor; buyer is solely rely on their own inspection, investigation, enquiry & due diligence.. Any information provided to be utilized only as a guide; no warranties given, expressed or implied. 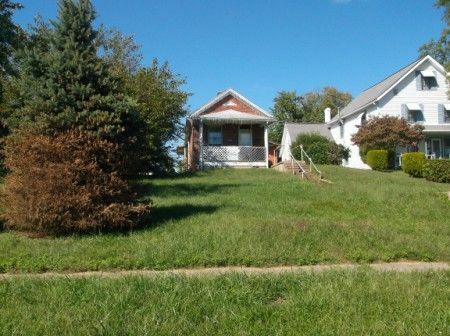 We encourage you to attend the Open House Inspection Day as this will be the only time to view the properties. Taxes & Legal: Parcel 305611013000; Taxes $514.18; Vol. 496 Pg. 266.